In this new monthly series, I’m hoping to share with you some of the new music and resources I come across in the course of my work. There’ll hopefully be a mixture of both flute, piano and singing things, but also general music, education, theory etc. I hesitate to call these ‘reviews’, as above all they’re about sharing these new discoveries with you. I hope you enjoy them as much as I have. For a number of years now, I’ve found the Hal Leonard Adult Piano Method to be great for adult beginners. These books present a varied mix of styles and genres which is so useful, especially when adults are often unsure of what they want to learn. 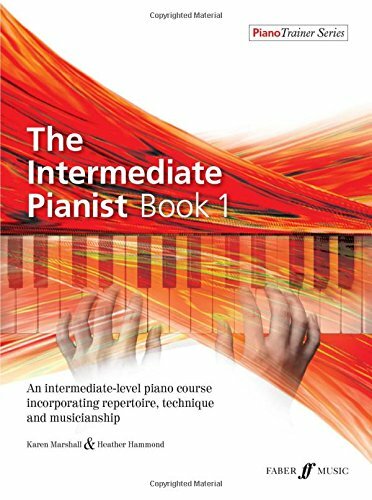 The Intermediate Pianist series, recently published by Faber Music, will, I believe, provide a good progression from the those books. Whilst the focus is primarily on repertoire, an emphasis is also placed on the development of technical and theoretical skills. These books can be used effectively alongside expanding a pupil’s repertoire beyond the early stages. They will also prove useful for those with some previous piano experience, and I also believe they could be useful effectively with older children and teenagers. They are very clearly presented which is a huge bonus, and in writing this book, Karen Marshall and Heather Hammond have filled a long-standing gap in the market. 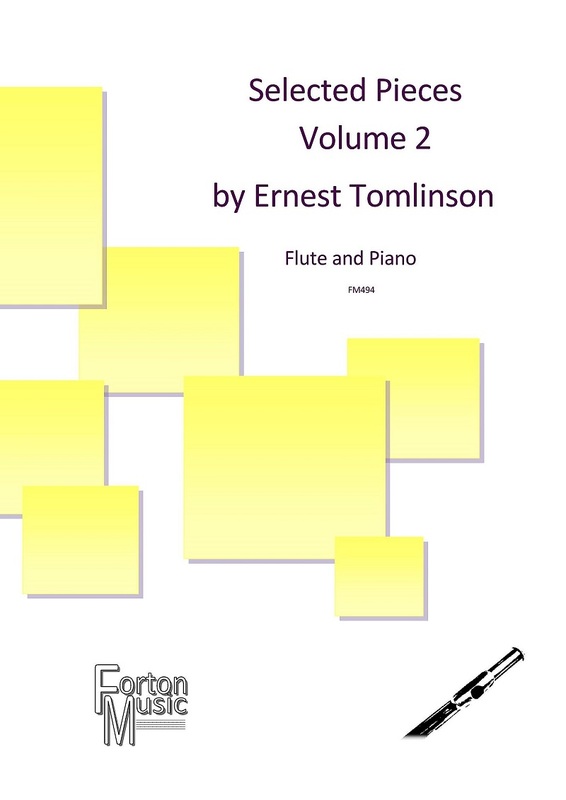 A lovely discovery in September, was this book of four pieces by Ernest Tomlinson, arranged by K. Roberts for flute and piano, and published by Forton Music. Perhaps the most well-known is the ‘Little Serenade’ which still plays on Classic FM, but the gem in this collection is ‘Pastorella’, or sumptuous lyrical solo, so suited to the flute. These are tunes which you and pupils will go away humming. The presentation is excellent, and they’d suit players of around Grade 5 level. I’ll admit, I was sent this as a review copy (a first for me!). I’d seen it advertised, and I admit, I was sceptical. ‘Sea Fever’ is such a gorgeous marriage of text and music, I couldn’t see why anyone would want to play it as a piano solo…but…how wrong I was! What I’d failed to realise was that this wasn’t just an arrangement of the vocal and piano part condensed into one, but rather a completely free arrangement which I believe breathes new life into the setting. The opening very much reminds me of Percy Grainger’s arrangements, where the tune weaves between the hands. It’s challenging to play: big chords, pedalling and voicing are all tricky in places. The cascading demisemiquavers on pages 4-5 are also tricky. Overall, it’s a gorgeous arrangement, and well worth the effort in terms of learning. Although it’s only four pages long, I’d say it’s a Grade 8 or Grade 8+ level piece. Sofie Kay (who many of you will know through her Enjoy Piano resources) has produced a new site, Enjoy Theory. For just £3 a month (with the first month free) you’ll get 12 new theory printables delivered to your inbox each month. There are, of course, many sites out there with free printable worksheets, but what I like about these, is each month is a surprise. There are worksheets here for beginner, intermediate and advanced pupils, but the thing I like most, is that they’re seasonal. Included with October’s bundle is both an ‘Autumn Matching Game’ and ‘Halloween Wordsearch’. The sheets come in two versions: one with UK, and one with US terminology. They’re clearly and attractively presented, and for such a small amount of money, a really lovely addition to our resources. I applaud Sofie for coming up with such a lovely new idea! Next Next post: ABRSM 2018 singing syllabus: more choice?